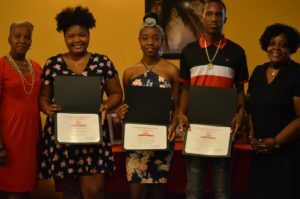 The St. Croix Alumnae Chapter of Delta Sigma Theta Sorority Inc. have announced the recipients of its annual Rita Weber Scholarship and the Thelma Moorhead EMBODI Scholarship. 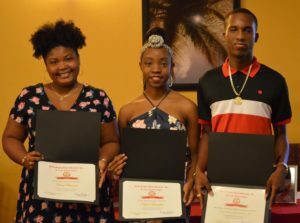 The 2018 Rita Weber Scholarship is awarded to Chael Chaseau of the St. Croix Educational Complex, Delva Daniel of St. Croix Seventh-day Adventist School and Taylor Lampkin of St. Croix Central High School. Darwin Christian III of the St. Croix Central High School is the first recipient of the newly established Thelma Moorhead EMBODI Scholarship. 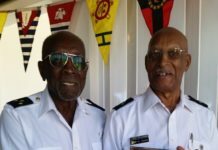 The awards are named in honor of Rita Weber and Thelma Moorhead, both deceased charter members of the St. Croix Alumnae Chapter. 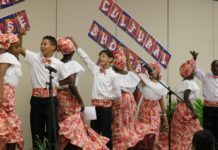 All the students demonstrate potential, possess outstanding leadership skills and exemplify academic achievement. Each year since 1976, the sorority chapter has awarded the Rita Weber scholarship to St. Croix high school female seniors from public, private and parochial schools, who have been accepted to a college or university. The chapter recently established the EMBODI scholarship named in memory of Thelma Moorhead, a long-term Virgin Islands educator who passed away in 2015. EMBODI (Empowering Males to Build Opportunities for Developing Independence) is a national initiative of the organization that provides mentorship to males ages 13 through 17 in junior high and high school. “It is our pride and honor to award these scholarships on an annual basis. Best wishes and great success to St. Croix high school graduates, particularly students who participated in our 2017-2018 scholarship search, as they advance toward academic and career accomplishments.” said Sandra L. Setorie, chapter president. Delta Sigma Theta was founded on Jan. 13, 1913, by 22 collegiate women at Howard University in Washington, D.C. The vision of the founding members was to use their collective strength to promote academic excellence and to assist persons in need. This remains the purpose of the over 200,000 members worldwide. The St. Croix Alumnae Chapter was chartered on Jan. 25, 1975.